I have 2 kinds of supplies to power your chargers wherever you have access to 120V/240V 50/60Hz. They are pulled from file servers and so they provide a well regulated supply suitable for any charger that needs 12VDC and they are power factor corrected. They will not burn up if overloaded or short circuited but will just shut down. Just disconnect everything and wait about 30 seconds and reconnect. Note that the connectors and wiring to connect to your charger(s) are included only with the PlugnPlay supplies below. Always connect your power supply to the charger before powering the power supply. These will provide 12V at up to 47A, and are about the same size as the 42A units. They are 2.125" X 3" X 12.5" long including handle. They require a PC power cord for you to connect your charger. When you plug them in, they just come on. I have run 2 Duos charging a total of three 6S5000 packs with no problems. These will provide 24V at up to 47A, and are basically two of the 47A (above) supplies wired in series. They require a PC power cord for you to connect your charger. When you plug them in, they just come on. These work well with the Hyperion Super Duo or FMA PowerLab chargers. These are sold pre-wired with your choice of connector. Note the option for both 12/24V. For those who need a little more power and less noise, these are 12V 69A power supplies with temperature controlled fans. Below are several options to choose from. They also require PC power cords and can draw up to 10A at 120V. Power cords are available below. Dimensions of an individual power supply are about 12" X 3.125" X 2" not including power cord or output leads. A pair of these sold as a plugnplay unit measures about 13" X 3.125" X 4.125" not including the power cord. 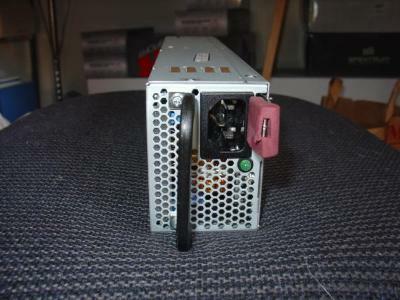 If you buy a pair of power supplies and want to connect them in series, you will have to open the case and modify them internally. This will void your warranty. These are for the ultimate power hungry modeler. With a 120V 50/60Hz (10A) input they are capable of 75A output. On 240V 50/60Hz (7.8A) input they are capable of 100A output. 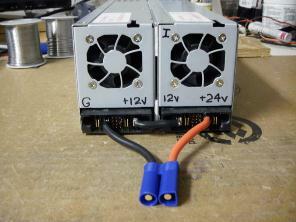 These can easily run multiple chargers, are physically smaller than the other power supplies I sell and also have temperature controlled fans. 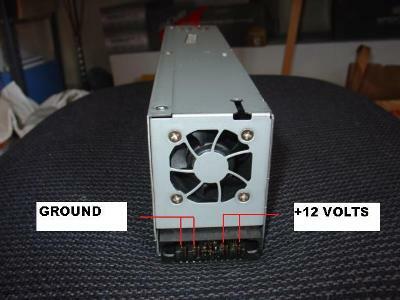 Dimensions for one power supply are about 9.5" X 3.5" X 1.5" without connectors or power cord. 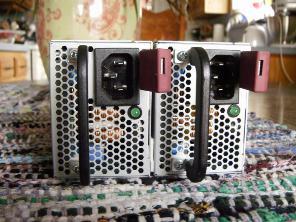 A pair of these sold as plugnplay units are about 10" X 3.5" X 3.125" without power cord. The output of these is somewhat exposed but for those putting this in a charging station this is not an issue. Choose your configuration below and remember that I also do custom work. Just let me know what you want via the email link below. SINGLE CORD: $3 for each unit and MUST be ordered with a power supply (can change in Paypal to multiple cords if necessary). DUAL CORD: $8 for each unit and MUST be ordered with a power supply (can change in Paypal to multiple cords if necessary). 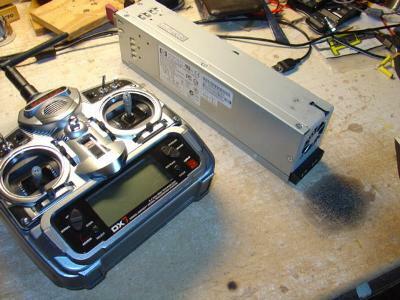 The item consists of 3 parts: Two 1ft 16ga power cords and one 14" 14ga Y adaptor. For questions, comments or support please email me at info@feathermerchantrc.com.